Generating brand awareness is a crucial component of any marketing effort. It’s not good enough to merely drive traffic to your website: you want to convert those visitors into loyal fans and shoppers, and then leverage that to increase visibility in comparable audiences. Brand promotion requires a lot of consideration and planning, which can make it a stressful and difficult concept for many. Ultimately, there are a few prime factors that must be addressed in any brand promotional efforts. Today, we’ll review those elements so that you can formulate your future marketing campaigns around them. Whether you’re pinging your website with an update or pushing emails to subscribed customers, it’s important to maintain a simple pitch. Many of these people will see your brand’s pitches quite often – it can become all too easy to tune out wordy pitches or otherwise complex screeds. You want to be sure that each pitch includes a straightforward call to action, along with an easy way to act on it. If you’re always writing long-winded pitches, even to your loyal subscribers, they’ll sooner or later stop reading. Such is life in a world where we are constantly bombarded with advertisements: successful brand promotion revolves around conveying messages in as few words as possible. What are you pitching to people in terms of your brand’s message? If you do not have a consistent message or theme in your marketing, then you are falling short of your true potential. The most successful brands in the world maintain their dominance by exuding a particular feeling, sentiment, vibe or theme. In order to be like them, your brand needs to have an overarching message that it conveys in every element. From your logo to your email marketing pitches, make sure that your theme is directly or indirectly on display. As more and more people come to know your brand by its message, more will find relevance in your products and services when they wish to agree with said sentiment. Just as important as what your brand stands for, your brand should feel relatable to those you’re targeting. While the need for a professional demeanor is paramount, this doesn’t mean that your brand has to be some soulless or faceless entity. You can help make your brand more personable by customizing your emails to read in the first person, using social media to generate more personal interactions and featuring stories of those who make your brand a reality. Many businesses use a variety of these tactics to give their brands a face and a personality, and it is a key reason behind the success of word-of-mouth campaigns. It’s very hard these days to successfully promote a brand that doesn’t have a personality; be sure that you’re pinging your website, your blog, your social media and your email campaigns with this must-have element. 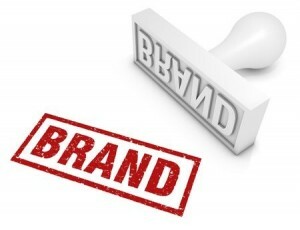 Three core elements comprise the success or failure of brand promotion. If you can succinctly engage your audience with a clear message, consistently exude what your brand stands for and inject a bit of personality into the mix, then your marketing campaign will have a foundation for success. Tell us below about your experiences with marketing and whether you’ve used these elements in your prior efforts! « So You Want to Start a SEO Consulting Business?